My 365 Poetry Project is over and the blog now has a new name, as you may have noticed. I’ve compiled links to all the original 365 poems, in order, for easy access. You can now click on the 365 Poetry Project link on the top menu to see the whole list and find “y’know, that one about sunflowers she wrote around January.” I find it especially useful because even I don’t remember which is which sometimes! I’m debating between a few ideas here and there, but nothing seems to quite meet the challenge of the poetry project. And there’s the added challenge of, no offense, the short attention span of readers. One of the reasons I think the poetry project worked so well was that they were small chunks of writing that didn’t involve a huge time investment from readers. But I’m anxious to stretch my prose muscles again… How would you feel about reading The 365 Flash Fiction Project? Any takers? Comment below if you’ve got a better idea, wise guy. 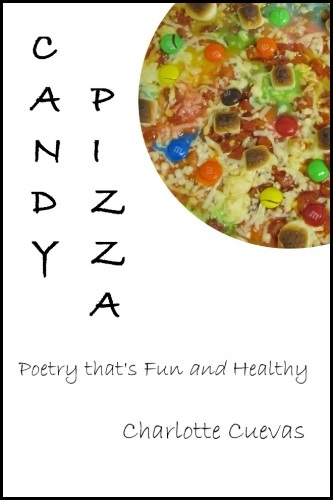 And don’t forget to get your hands on a copy of Candy Pizza: Poetry that’s Fun and Healthy now available in paperback from Amazon and Kindle e-book.